LUA-LUA Youth Hostel is a large and cozy house located in the best shopping area of Las Palmas and close to the famous Las Canteras beach. This beach is one of the best urban beaches in Spain where you can swim, surf or just relax. It’s got everything! The hostel itself has high ceilings and the walls are covered in great mosaics. NOT the average hostel – more a home from home! The living room is ideal to meet with other guests, chat and share tips and experiences. It has a TV and a PC free of charge from which you can connect to internet. The kitchen is a great place to socialize with others. It has 2 refrigerators, hob, oven, microwave, coffee maker, kettle and all the necessary utensils to prepare a great meal. The large communal terrace is definitely one of the strengths of LUA-LUA and THE preferred place for our guests. 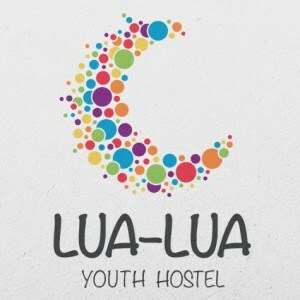 To learn more and make a reservation please check our frequently-updated website and follow the Lua-Lua Facebook page. We look forward to welcoming you here at Lua-Lua!